It’s been a few weeks since my last Utah LEGO store update, so I decided to walk over to the mall today. 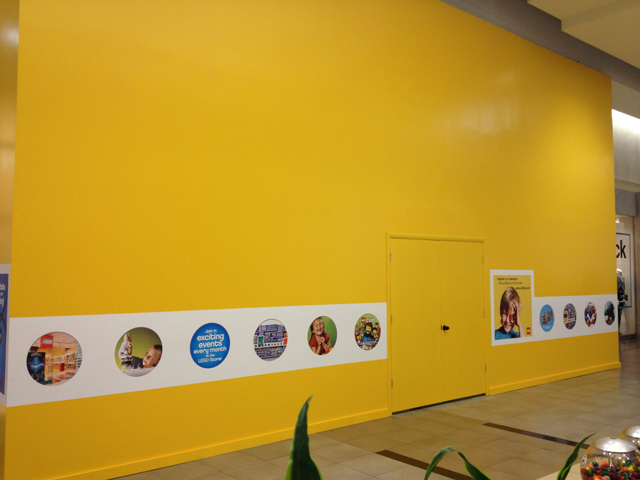 They have added some signs with cool looking pictures and some updated information to the front of the yellow construction area, which is not very good at being specific. WE WANT AN OFFICIAL DATE! – although the September 20th opening is still one I have penciled in on my calendar. Will check again next week to see if there is any physical updates. 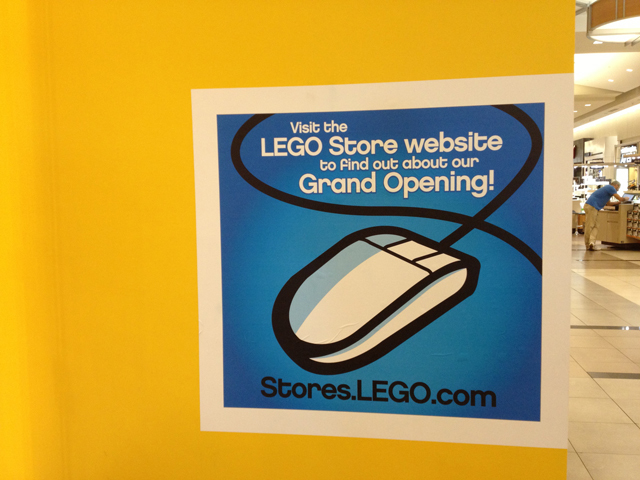 For now, those LEGO fans here in Utah can check this link often to see when they will add official grand opening dates. They’re sure dragging this out! Why is it taking forever, are they building counters and displays out of actual Legos???? Whoa, that would be fun – keep us posted Marty! 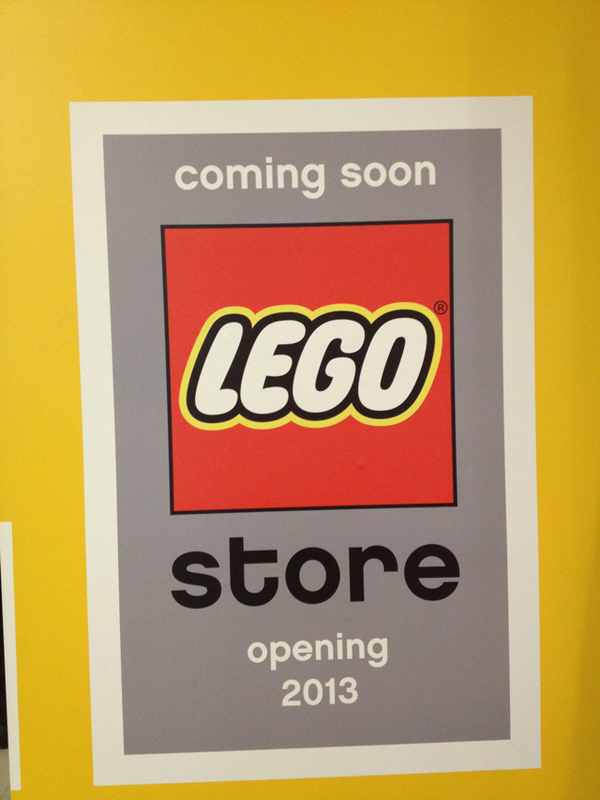 According to this picture of a /very/ official looking LEGO calendar, the Murray Utah LEGO store will have it’s grand opening from the 4th to the 6th of October. Once again, thank you for the details on this. I will be there for sure grand opening weekend. Still guessing the soft opening is Sep 20th. Rob… I was there on the 20th, but didn’t make it over there until around lunch time. I met the guys from the Utah LEGO Users Group (who were using their 30% discount for the day one soft opening). I will be posting a new blog post with some of my first day pictures and a video that I did as well.